Somehow the season has rolled and rolled and I found myself not doing any baking. I had great intentions but it just never came together as I had planned. In fact, I found myself without any Christmas cookies and only four days left to make it happen. 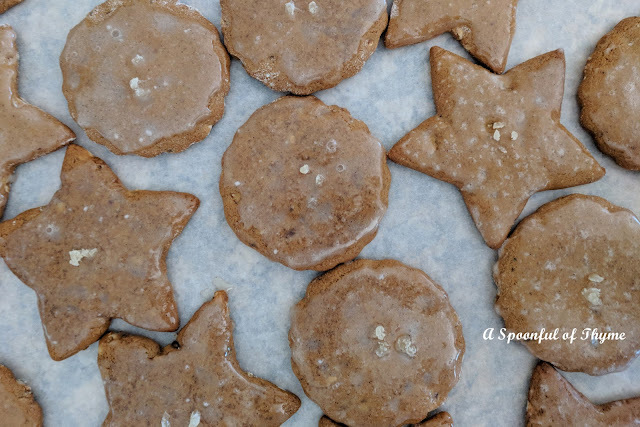 I have wanted to try to make German Lebkuchen for years. I love the soft and chewy texture of this gingerbread cookie. Today's cookie is a descendent of medieval gingerbread which was made with a combination of spices and honey and dried bread crumbs. 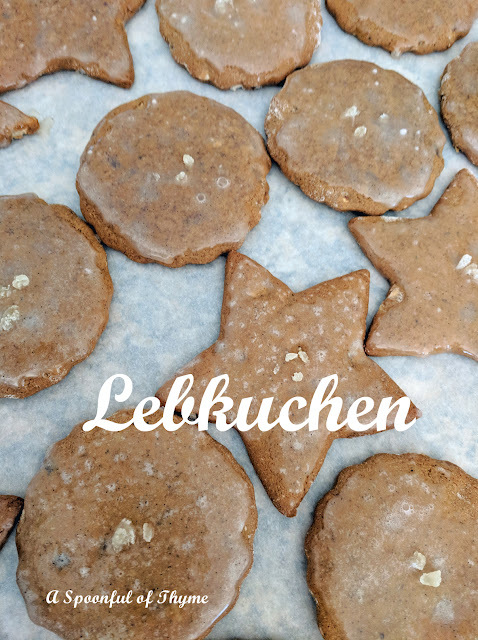 The most famous Lebkuchen comes from Nuremberg and while most associate the cookie with Christmas, I have seen it in the marketplace during other times of the year also. They were just as good in the spring as they were in the winter! When it comes to the recipe, there are just as many recipes as there are bakeries selling the cookies! 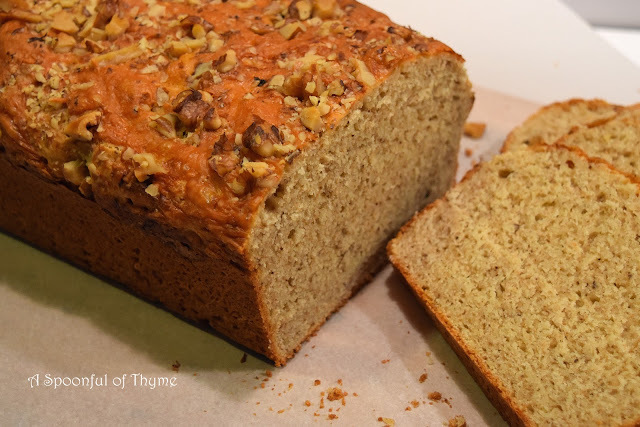 The recipe I used came from the Viking River Cruise collection of recipes. It was simple and tasty. In a medium saucepan, bring the honey and molasses to a boil. Remove from heat; stir in the brown sugar, egg, lemon juice and zest. In a large bowl, combine flour, baking soda, and spices. Stir the molasses mixture into the dry ingredients. Add the citron and hazelnuts. Cover and chill overnight. On a floured, hard surface roll out a small amount of chilled dough to 1/4 inch thick. If the dough is sticky, use more flour. Cut the cookies into rounds or stars and transfer to the prepared baking sheet. Bake for 10-12 minutes. While the cookies are baking make the icing by heating the granulated sugar and liquids in a saucepan, but do not bring it to a boil. Remove the pan from the heat and add the confectioner's sugar. If the icing crystallizes, reheat and add some more milk or water. Transfer the cookies to a rack and while still hot, brush them with the icing. Decorate the cookies with the sliced almonds or candied citron or ginger. Let the cookies cool completely. Store them in a sealed container. I must admit that I was challenged by this month's Saturday Soup Swapper theme. For the life of me I could not associate a soup with a specific memory.....that is, a soup that I hadn't already posted. In fact, I was close to crying out "uncle" and waiting for January. But then, Terry got sick....really sick...the ugly kind that seems to be going around right now and makes you miserable for a few days. This afternoon he was feeling pretty good and was a tiny bit hungry. Then I remembered...his mom always made him potato soup when he was recovering from the flu. He said potato soup always got him back on the road again. So, I borrowed Terry's memory and suggested that I make potato soup for dinner. The last time he was sick and I made potato soup for him I might have gotten a little too creative for a sensitive tummy. I added a bit of beer.... (stop laughing) Yes, it was a dumb thing to do. I, myself, cannot believe that I did that. It was not welcomed. It was suggested that I make plain potato soup. Remembering that plain potato soup was the memory....I asked if the thought of adding bacon bothered him...well, of course not, bacon is good anytime.... 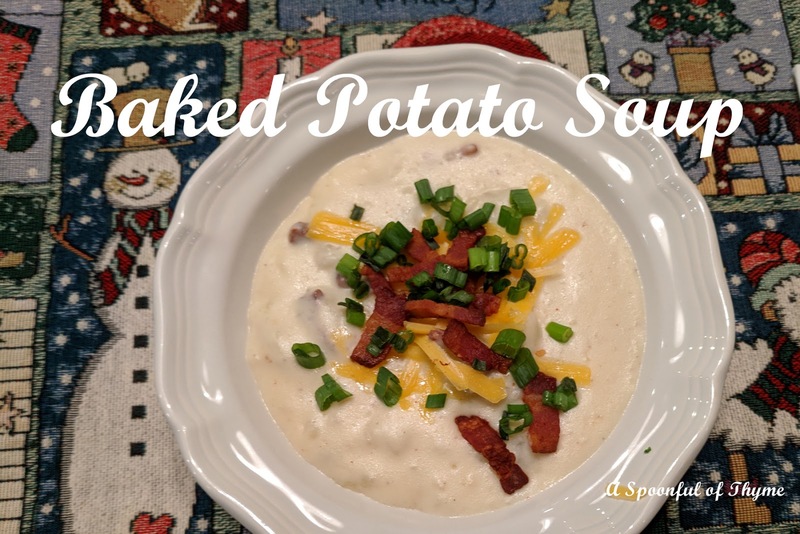 So for dinner tonight we had Baked Potato Soup! It was super. I don't believe that I will be waiting until he gets sick to make this again. It was that good! Each man was for himself when it came to the garnish. Yes, I wanted the cheese, bacon and green onion and a little dollop of sour cream...why not, it is baked potato soup! Bake the potatoes in the microwave per the directions for your microwave. When finished set aside. Cook the bacon lardons in a Dutch oven over medium heat, until crisp. Remove the bacon from the pan to paper towels, leave the drippings in the pan. Add the flour to the drippings and stir to combine. Cook until the flour and the fat combine, about 1 minute. Pour in the milk while whisking to incorporate. Cook the mixture over medium heat until it bubbles and has thickened. Stir frequently to prevent the mixture from sticking. Remove the skin from the potatoes and roughly chop. Add them to the milk mixture. Mash the chunks with the back of a wooden spoon, leaving just a few chunks. To the mixture add the bacon (leave out a tablespoon or two for garnish), 1 cup of the grated cheese, season with salt and pepper. Stir until the cheese has melted. Remove from heat. 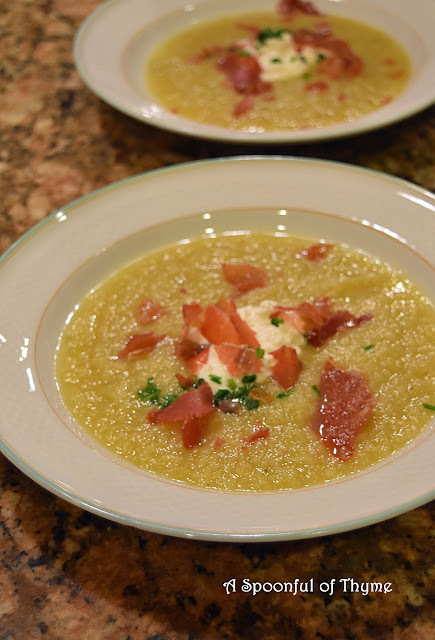 Ladle the soup into bowls, sprinkle with cheese, bacon bits, chopped chives and a dollop of sour cream as desired. Thanks for the Memories is hosted by Wendy of A Day in the Life on the Farm. Thank you for stretching the brain this month! It was a delicious bowl of soup! Today's challenge was to prepare a soup from our state....a regional soup. Thank you, Ashley, of Cheese Curd in Paradise, for hosting Soup Saturday Swappers. The Saturday Soup Swappers is a group of bloggers brought together by Wendy at A Day in the Life on the Farm. The group gets together on the third Saturday of the month to share soups or stews based on a theme selected by one of the members. If you are interested in joining in on the fun, follow the link above for more information. All are welcome! As I thought about the state and the region, I immediately thought of seafood. While traveling in the state I am always trying to find the best Lobster Bisque or Clam Chowder. 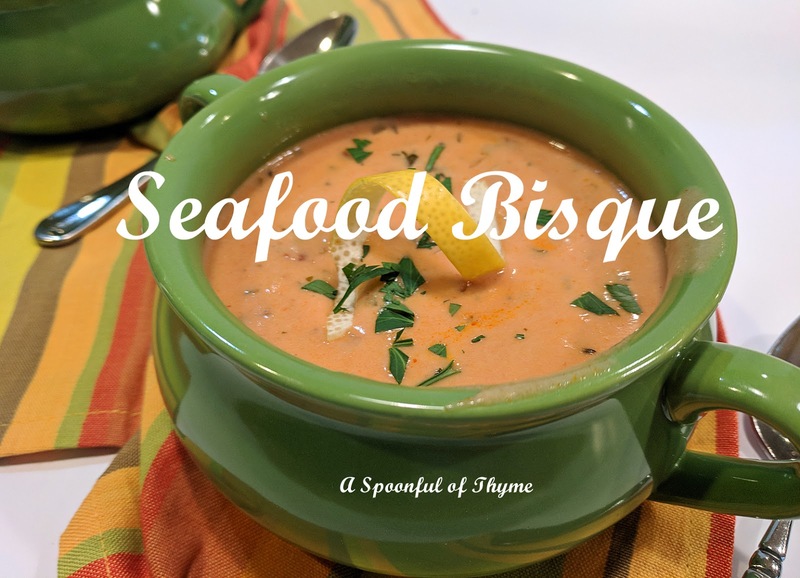 As I thought about preparing something it dawned on me that I have a super recipe for Seafood Bisque which meets the challenge. This is a family favorite. There is actually a funny story about this bisque. In 2009 while visiting my daughter in Seattle, I mentioned that I was thinking about starting a food blog. We talked about what to call it....it was after dinner....I had made Seafood Bisque. We tossed numerous names back and forth...when I looked down to see a sprig of thyme laying across the soup spoon in my empty bowl. 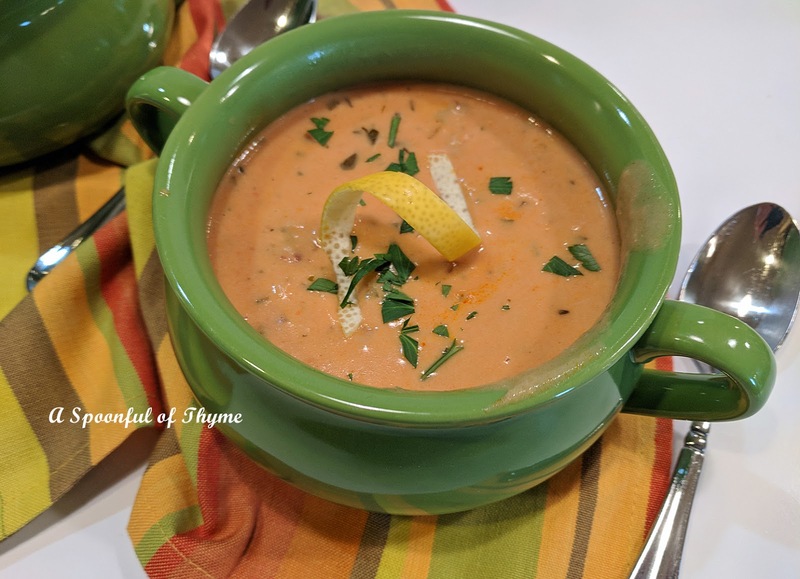 That was it, A Spoonful of Thyme was born and all because of this Seafood Bisque! Melt the butter in a large skillet and saute the onion, celery, parsley, and the next seven spices. Set aside. Add the next seven ingredients. Stir to blend. Add the remaining seafood and heat to cook. NOTE: This seafood in this soup can be varied. Whatever you have on hand or wherever your taste guides you! The nicest part about today was that it was perfect weather for soup! And for those men out there who really want a substantial bowl of soup, this is it! It is filled with the very best and tasty seafood!! What a beautiful week it has been! Somehow Mother Nature managed to send some low temperatures our way! It has been fall. This weather, 60s and 70s, has been perfect. It motivated me to hit the kitchen and actually use the oven. I was reading the New York Times Recipes and a recipe for Sweet and Spicy Roast Chicken caught my eye. Goodness....chicken, carrots, dates, citrus and honey....yummy! It sounded like the perfect dish to kick-off the season and we were not disappointed. It was delicious. Did you notice that the New York Times is now charging a fee to access recipes? I was disappointed as it is one of my favorite sites for recipes. I was able to access some recipes but not all....so, I bit the bullet. I figured if it was my favorite then I would subscribe... Do you subscribe? I may not be totally pleased that it is now subscription based but, it is worth it! Quarter the lemon lengthwise. Cut into small wedges and remove any seeds. Blanch the wedges for two minutes in a small saucepan of salted boiling water and drain. Whisk together the lemon juice, orange juice, oil, mustard, honey salt, bay leaf, red pepper flakes and black pepper to taste, in a small saucepan. Bring the mixture to a boil and simmer for 5 minutes. Let cool. Put the chicken in a bowl and add the cooled honey mixture. Add the carrots, onion, dates, thyme and blanched lemon wedges. Turn the mixture to coat the ingredients. Marinate overnight in the refrigerator or a minimum of 30 minutes at room temperature. 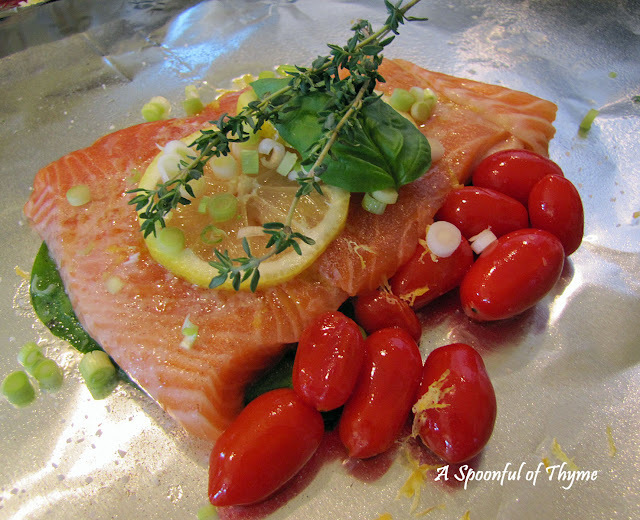 Place all ingredients in a rimmed sheet pan. If you did not remove the skin from the chicken, it should be placed on the sheet pan skin side up. Roast the chicken breasts for 20 to 30 minutes, the chicken should be browned and cooked through. Remove the chicken as it is done. Stir the carrot mixture and continue cooking until the carrots are tender, about 7-10 additional minutes. If the pan appears dry, add 2-3 Tablespoons of water. 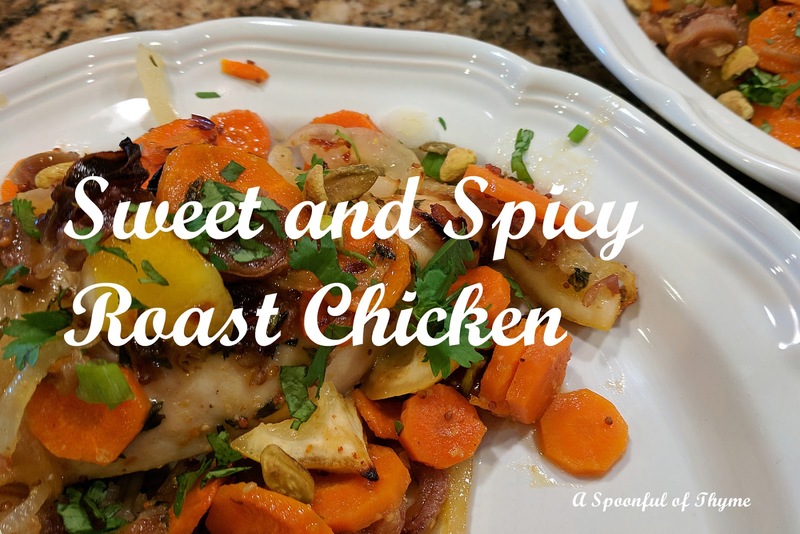 Spoon the carrot mixture over the chicken and garnish with cilantro, chopped scallions and the pistachios. 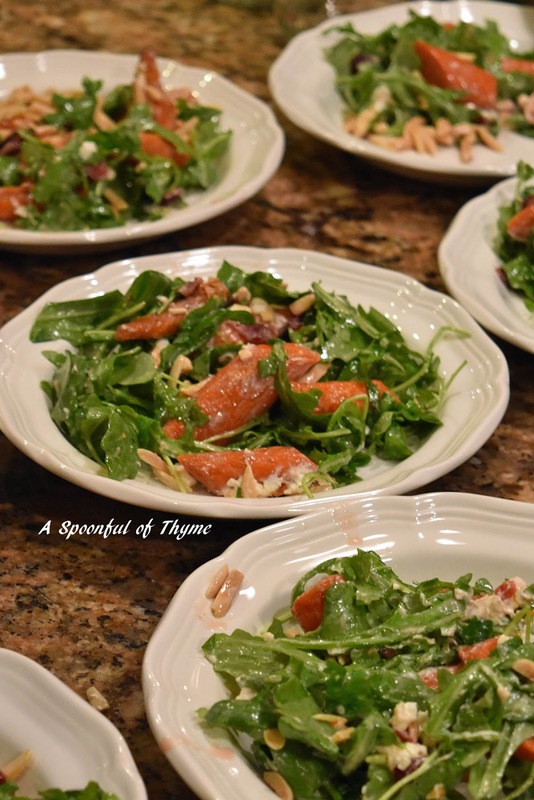 I am sharing at Full Plate Thursday hosted by Miz Helen's Country Cottage! This summer has been one of heat waves....one after another. In fact we have had over sixty six days that were over 100 degrees, so far this year. It doesn't match the record of seventy six days set in 1917, so in this case not setting the record is a good thing! Needless to say, there hasn't been much cooking and definitely no baking going on at my house. For today, though, I was challenged to make a quick weeknight soup. 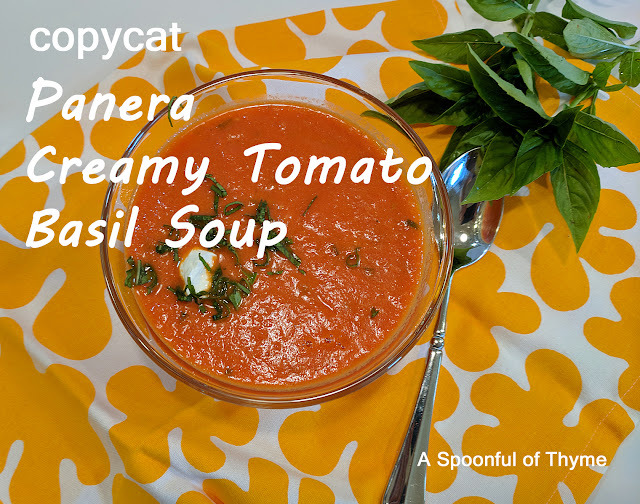 The winner to me would be last month's soup, which as a copycat Panera Tomato Basil Soup. It was really a quick one to put together and super tasty. But, since I cannot post the same thing twice, I stepped up to the plate! Trying to slip a soup past Mr. T. when it is 112° might be tricky...but, I figured I would wow him with flavor! It worked. The first comment he made was in regard to how flavorful the soup was! Score! A few years ago I made a Tomatillo-Braised Pork Loin by Rick Bayless. I loved every bite of it but the potatoes had an amazing flavor. 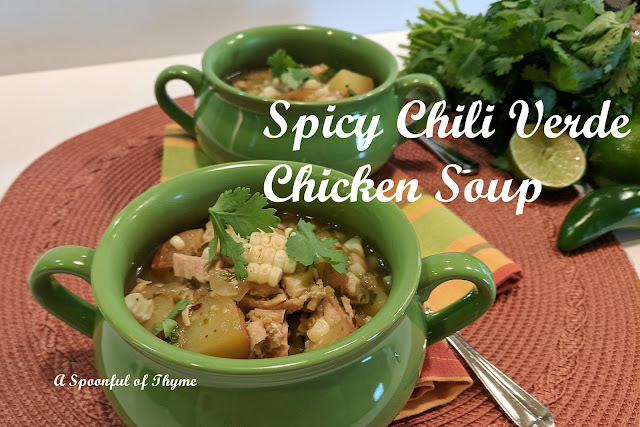 I decided to capitalize on that and put together a Spicy Chili Verde Chicken Soup using the same method that was used in the Rick Bayless recipe. I broiled the tomatillos and peppers and since this was a quick recipe, I put the potatoes on one end of the baking sheet and roasted them at the same time. The broiling took the most time. If you aren't up for a really spicy soup, then you might devein and seed the peppers! We enjoyed this spicy soup even though it was a very warm day. I had thought about making some cornbread but decided the kitchen was warm enough. I served some great Honey Salted Cornbread Crisps, that I found at Trader Joe's, with it. It was just right. Line a baking sheet with heavy duty foil. Place the tomatillos and peppers on one end. Place the small pieces of potato on the other end of the sheet. Roast the potatoes, tomatillos and chiles on a baking sheet 4 inches below a very hot broiler until darkly roasted, even blackened in spots, about 5 minutes. Flip them over and roast the other side — 4 or 5 minutes more will give you splotchy-black and blistered tomatillos and chiles that are soft and cooked through. Cool and transfer everything but the potatoes to a food processor or blender, also pour any juices that have run out onto the baking sheet. Process until smoothly pureed. The potatoes may not be completely tender. They can finish cooking as the soup simmers after adding the chicken, beans and corn. While the tomatillos, peppers and potatoes are in the boiler, prepare the remaining ingredients for the soup base. Add the olive oil to a Dutch oven that has been heated over medium. When it is warm, add the onions. Saute until they are soft and transparent. Add the garlic and continue to cook for another 2 minutes. Pour the tomatillo mixture into the Dutch oven. With an immersion blender puree the soup. Put the heat on medium-low to reheat the mixture. Add the chicken, potatoes, corn kernels and white beans. Simmer until the potatoes are tender. Add the lime juice. Season the soup with salt and pepper to taste. 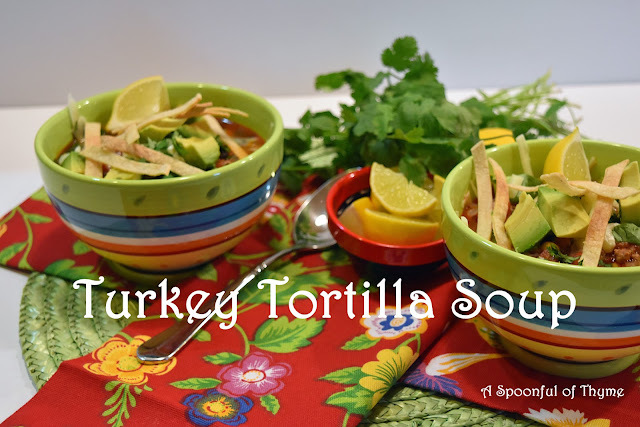 Serve the soup with a dollop of sour cream, additional lime wedges and cilantro if desired. 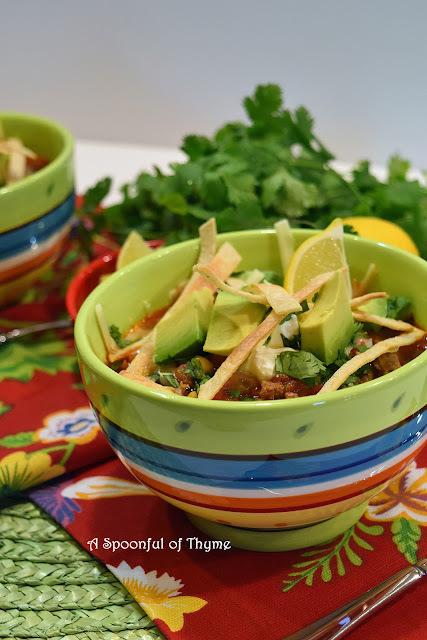 The theme for this month's Saturday Soup Swappers is Quick Weeknight Soups. It is hosted by Amy at Amy's Cooking Adventures. Who wouldn't love to have a quick soup after a busy day at work and/or school?! Sometimes it is hard to have the energy to hit the kitchen after a busy day. This month's recipes are certain to help you out! The Saturday Soup Swappers is a group of bloggers brought together by Wendy at A Day in the Life on the Farm. The group gets together on the third Saturday of the month to share soups or stews based on a theme selected by one of the members. All are welcome! This was a hard month for me when it came to selecting a recipe for Soup Saturday Swappers. The week I set about doing it, the temperatures ranged from 108° to 111°. That is not exactly soup weather. But, I was fondly remembering a recent trip to Seattle when I got adventurous and went shopping in a nearby city. I had a lovely bowl of creamy Tomato Basil Soup at Panera. It was delicious. It was really thick but it had not pureed to a silky smooth soup. It had some consistency to it which I really liked....so I decided to give it a try. Basil chiffonade, croutons, dollop of sour cream or dollop of pesto. Heat a Dutch oven over medium heat and add the 2 Tablespoons of olive oil. Add the onion and saute until translucent, about 6 minutes. Add the garlic and saute until fragrant, about a minute. Add the can of tomatoes with juice, crushed tomatoes, chicken stock and sugar. Bring to a simmer. Cook uncovered for 10-15. Stir in the butter and half and half. Add the chopped basil and stir. Use an immersion blender or carefully transfer the mixture to a blender and puree the soup until there are no large chunks and at desired consistency. Adjust the seasoning. Serve with desired garnishes. 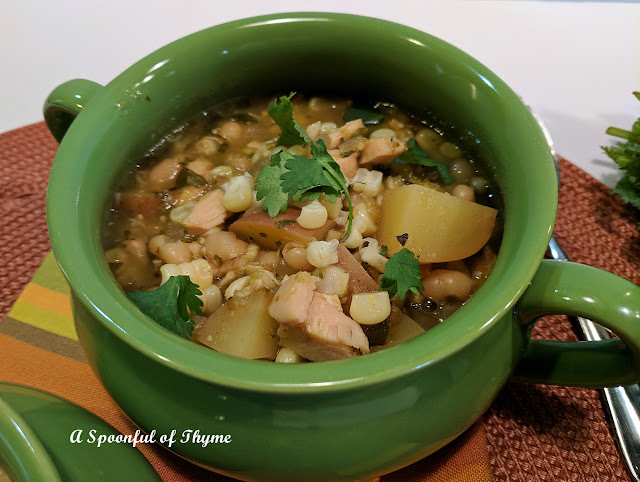 Copycat soup recipe is the theme for this month's Saturday Soup Swappers! The Saturday Soup Swappers is a group of bloggers brought together by Wendy at A Day in the Life on the Farm. The group gets together on the third Saturday of the month to share soups or stews based on a theme selected by one of the members. This Saturday is hosted by Heather at All Roads Lead to the Kitchen. If you are interested in joining in on the fun, follow the link above for more information. All are welcome! due to a blender that broke at the bottom and wasn't discovered until I poured.... turned out like this and was an absolutely wonderful soup! 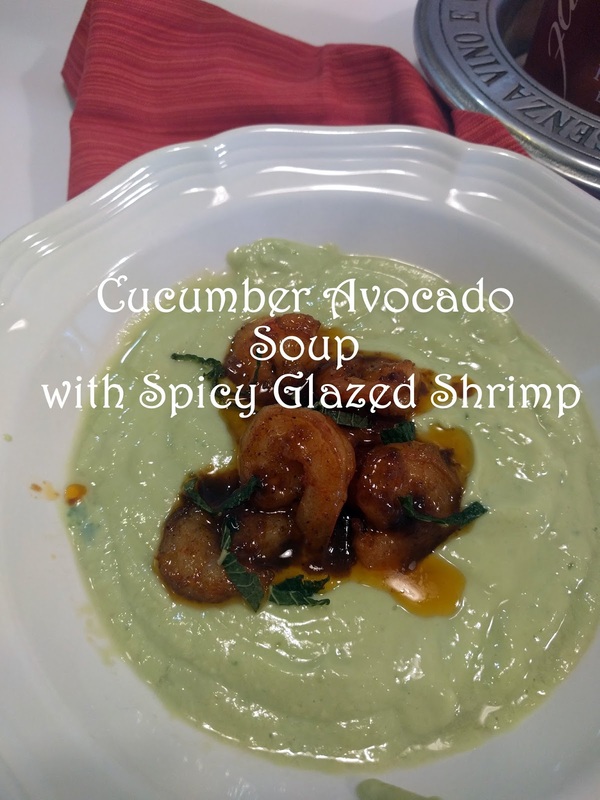 Combine the cucumber, avocados, buttermilk, vinegar, sugar, 1/2 Tablespoon of lime juice and a pinch of salt in a blender. Blend until smooth. Strain the soup through a fine sieve and refrigerate until chilled, about 40 minutes. In a large saucepan, heat 2 Tablespoons of olive oil. Add the shrimp shells, garlic, shallot and carrot and cook over moderate heat and stir until the shells are lightly browned and the vegetables are softened, about 8-10 minutes. Add the peppercorns, coriander seeds, crushed red pepper and cumin seeds ad cook for a minutes, stirring. Add the tomato paste and cook stirring for another minute. Add the water, honey and remaining tablespoon of lime juice and bring to a boil. Simmer the mixture over moderate heat until reduced to about 1/2 cup. Strain the shrimp sauce into a heatproof bowl. Heat the remaining olive oil in a skillet and until shimmering. Add the shrimp, season with salt and pepper. Cook over high heat 1 minute. Turn the shrimp add the shrimp sauce and simmer until the shrimp are cooked through, about 2 minutes. Stir in the butter. Place three shrimp in each soup bowl. Spoon the cucumber soup around the shrimp and drizzle with the shrimp sauce. Sprinkle mint leaves and serve. This was the most amazing soup! I love the way the buttermilk gave a light tang to the mixture and then the accompanying shrimp made it a "make again" recipe! It was an adventure getting this post ready for Saturday Soup Swappers. 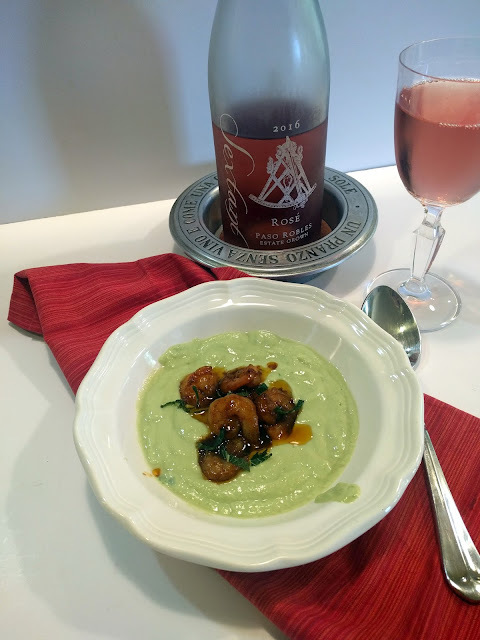 Chilled soup is the theme for this month's Saturday Soup Swappers! The Saturday Soup Swappers is a group of bloggers brought together by Wendy at A Day in the Life on the Farm. The group gets together on the third Saturday of the month to share soups or stews based on a theme selected by one of the members. This Saturday is hosted by Paula at The Saucy Southerner. If you are interested in joining in on the fun, follow the link above for more information. All are welcome! Let's enjoy beef stew one last time before the heat sets in! Putting together a post that featured English Stew was a challenge. Not because it was English Stew but because I am traveling back and forth between my home in California and my daughter in Washington. 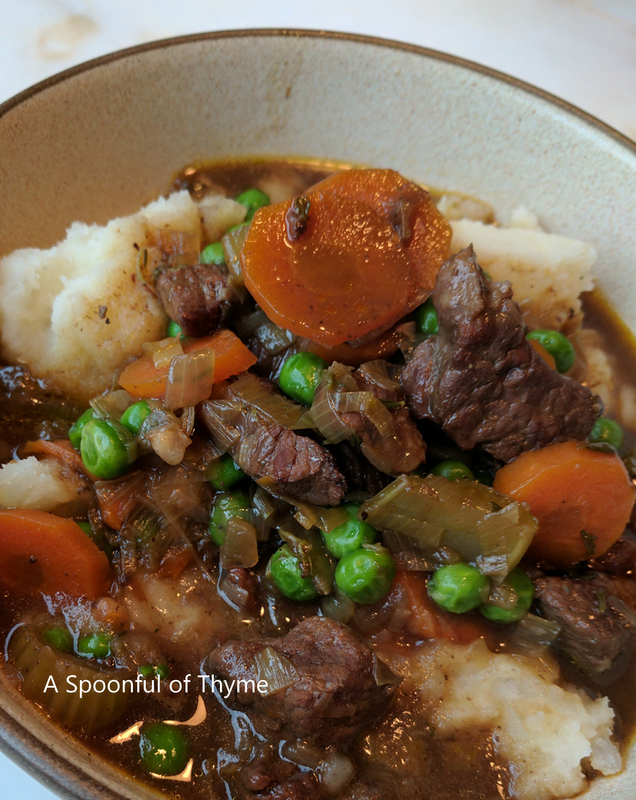 Yes, English Stew is the theme for this month's Saturday Soup Swappers! 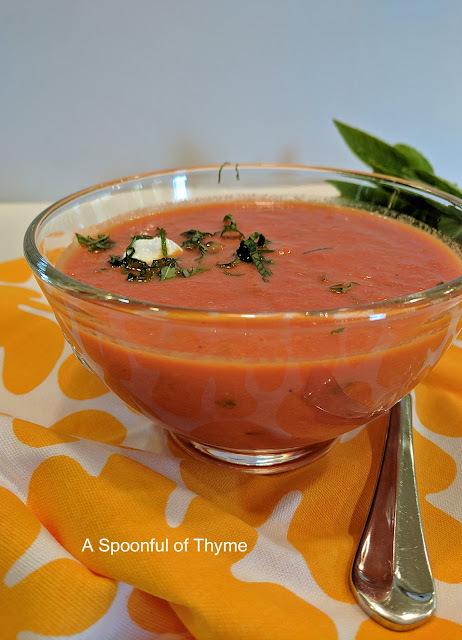 The Saturday Soup Swappers is a group of bloggers brought together by Wendy at A Day in the Life on the Farm. The group gets together on the third Saturday of the month to share soups or stews based on a theme selected by one of the members. This Saturday is hosted by Sneha at Sneha's Recipe. If you are interested in joining in on the fun, follow the link above for more information. All are welcome! I guess I had a hard time dealing with stew, weather and traveling. My first idea was a Pumpkin and Lentil Stew that really intrigued me but I kept thinking fall so I switched to Beef Stew and Dumplings and still had issues thinking about the weather...but hey, I'm in Seattle, nothing stays the same for long....a nice storm moved in...rain, fog, fog horns, winds just the kind of weather that goes with stew! But, don't expect dumplings. Somehow the four year old was focused on the mashed potatoes so dumplings never happened. Of course there is more to the story than a four year old, there is always the story of ovens. I believe that I just had my last dance with this oven. The kitchen remodel at my daughter's is set to begin. I hope you enjoy the richness of this wonderful beef stew and if you can't make the dumplings, don't forget fluffy mashed potatoes! I can hardly wait for leftovers! 2 leeks, white and light green only, cleaned and sliced into half moons. In a Dutch oven, heat the oil and butter. Add the stew meat and brown on all sides. Sprinkle the flour over the beef and cook, stirring, for 2-3 minutes. Add the garlic and the vegetables. Continue cooking for another 2-3 minutes. Note: I added the peas after the stew was removed from the oven. Stir in the wine, stock, and herbs. Add the worcestershire sauce and balsamic vinegar, adjust to taste. Add the salt and pepper. To serve place a scoop of mashed potatoes in each bowl. Add a ladle of stew and sprinkle with parsley. 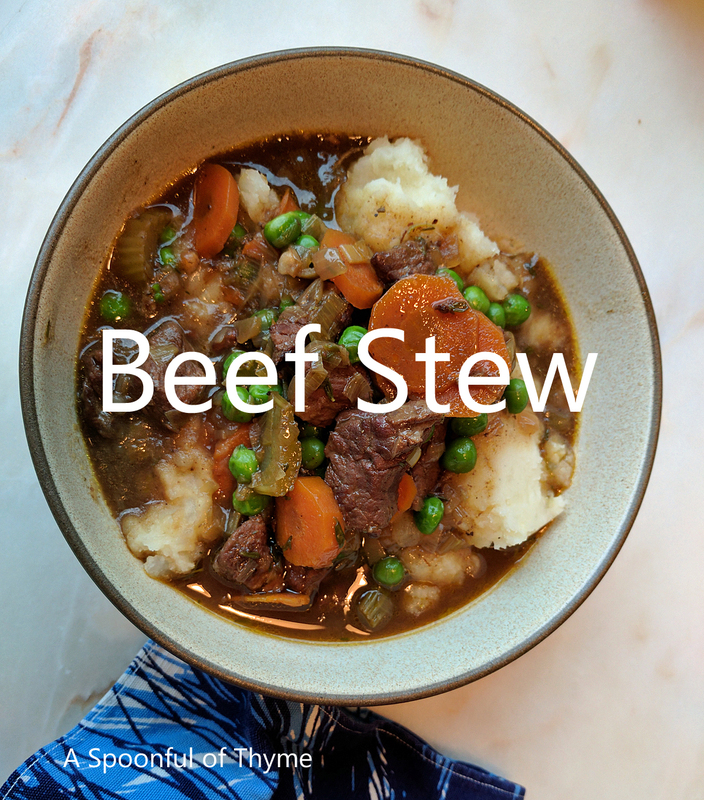 We really enjoyed this stew and the four year old did too! Doll up that Lettuce Wedge! The wedge salad of the 50's and 60's moves in and out of favor. The salad, though, did not originate then. The earliest mention of the lettuce wedge salad was found in a cookbook published in 1916. Marion Neil's cookbook, Salads, Sandwiches and Chafing Recipes mentions the wedge salad with Roquefort cheese and hard boiled eggs. It's popularity fluctuates with the times but it hasn't disappeared. The wedge salad today has many guises. There will always be the original but it can be dolled up to reflect most cuisines. It can have a Mediterranean look with a vinaigrette and cucumbers, kalamata olives, tomatoes and feta sprinkled over the top. Or it may have a more España appearance as this salad does. 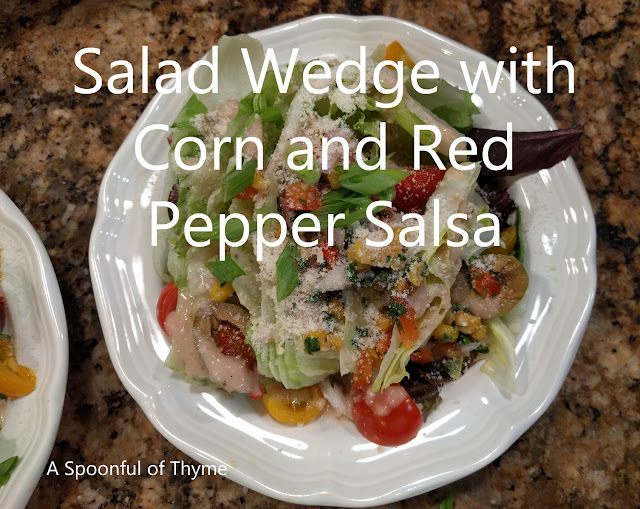 Add a little corn and red pepper salsa made fresh from the garden, a few tomatoes, some manzanilla olives and a few crushed tortilla chips for a little crunch and you have a lovely wedge dolled up for the evening! In a blender, combine all ingredients except the oil. When combined, leave the motor running and slowly drizzle the oil in a slow, thin stream. When the oil has been added and the mixture is smooth, turn off the blender and set aside. If using canned corn, drain. Cook kernels in a hot skillet with a tablespoon of oil. Cook about 10 minutes until kernels are crisp. Season with salt. Set aside to cool. When ready to serve, combine the all ingredients. Mix well and season with salt and pepper to taste. Remove the root end from the lettuce. Cut the head in half. From the half head, cut wedges to serving size. (I cut the half head into four wedges.) 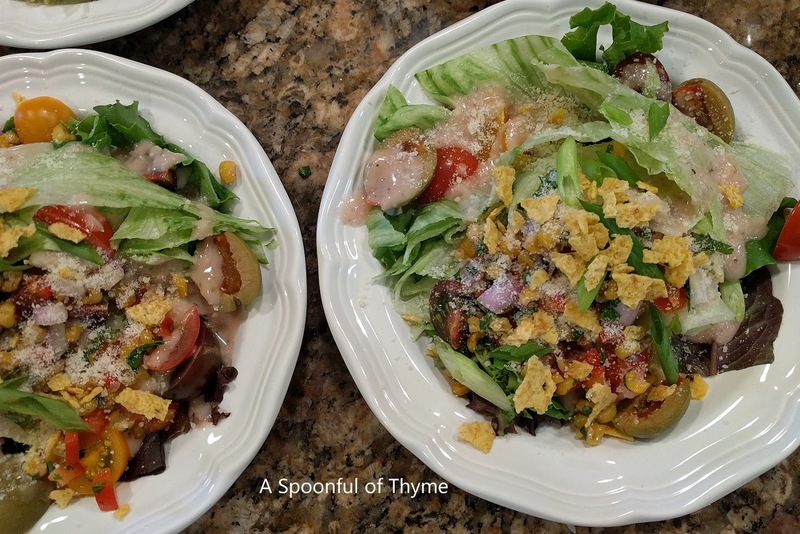 Spread out some of the mixed greens on the salad plates and place the wedge on top. Dress the wedge with about 2 Tablespoons of dressing. Top each wedge with two olives, tomatoes, and sprinkle with Parmesan cheese. Add about 1/3 cup corn and red pepper salsa to the top and then garnish with slices of green onion and a Tablespoon of crushed tortilla chips. This was a delicious salad and I am happy that I have enough ingredients left over to repeat the creation tonight! It is Saturday. Just the sound of the word brings a smile...of course, when one is retired, everyday is Saturday! Three cheers for Saturday! This is the third Saturday of the month which means that today is Soup Saturday Swappers. The Saturday Soup Swappers is a group of bloggers brought together by Wendy at A Day in the Life on the Farm. The group gets together on the third Saturday of the month to share soups or stews based on a theme selected by one of the members. If you are interested in joining in on the fun, follow the link above for more information. All are welcome! 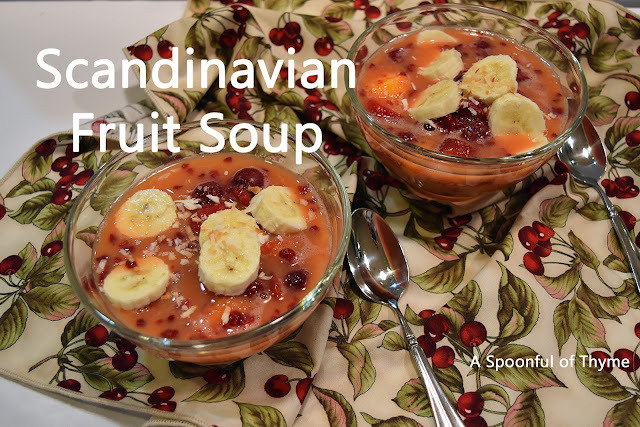 Today I am sharing a fruit soup that is part of the Scandinavian cuisine. They are usually made with stone fruits like peaches or cherries but in the winter, dried fruits are used. Cream or some kind of dairy can also be added...so is a fruit soup like a smoothie only eaten with a spoon? Yes, no, maybe! Camilla at Culinary Adventures with Camilla selected this month's theme. She stretched my mind with this one, but in a good way! Thank you, Camilla, for challenging me this month! In a medium saucepan mix 1 cup water, sugar, tapioca over medium heat until the tapioca turns clear. Pour the mixture into a large bowl. Chill. The mixture will thicken slightly. Whisk well. Add the frozen fruits. Chill thoroughly. 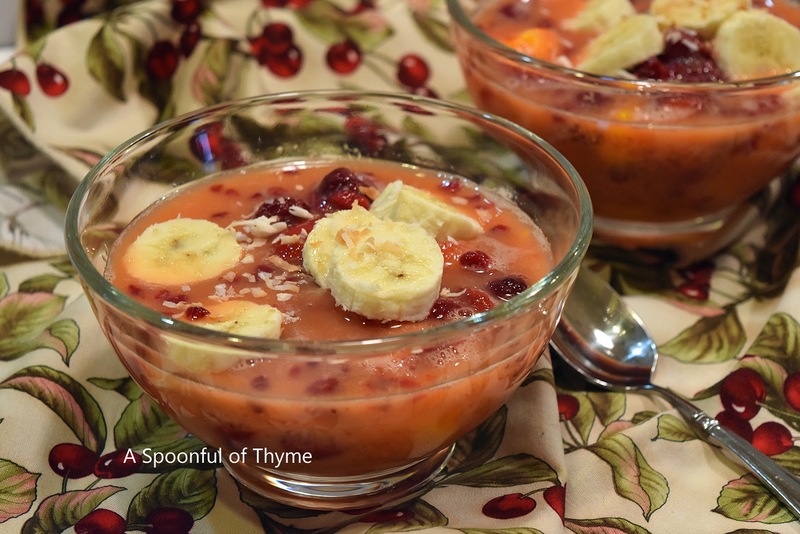 Serve cold topped with banana slices and a sprinkle of toasted coconut. Notes: Soup may be served cold or warmed. Any mixture of fruits will work. I had to really think to wrap my head around fruit describing soup, two opposites in a sense..one describing the other. Two totally different images battling it out in my head. And, yes, Mr. T. shook his head when I blew across the spoon before taking a bite! Well, soup, in my head, is hot! Old habits die hard but, you know, I could eat fruit soup again! It was perfect last night as we relaxed on the patio. In fact, it was darn right refreshing! I know, I have been neglecting the blog. It isn't that I am not cooking. We do have to eat. It isn't because I don't have new recipes to share. I have quite a few drafts that are collecting dust. Sometimes I feel as though I am writing to myself! I am not trying to become a world famous cookbook author. I am not trying to see who can get the most followers. I am not interested in creating the most fattening dessert in the world. (But there are days when I would like to taste it!) I am not interested in making movies. I don't view everybody else as competition. I am just a gal who likes to try new recipes, cook and share. I must also admit that I have been sharing less as I have become intrigued with making quilt tops. 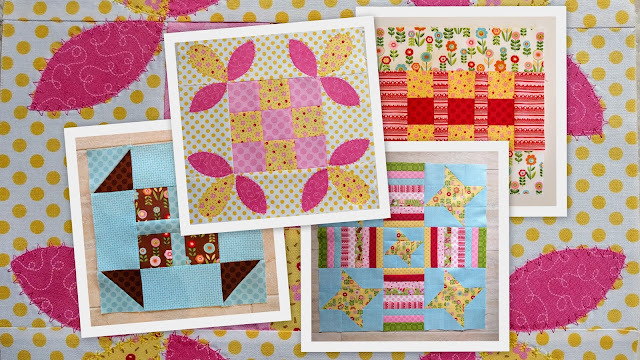 I have been participating in two weekly projects, one is Pat Sloan's Solstice Challenge. (182 days to complete a quilt - winter solstice to summer solstice) Each week we are presented with a new block to add to the quilt top. This is the first time that I have worked on a quilt top that is asymmetrical and the first time I have worked blind. By blind I mean I have had no idea how the layout would come together so I have struggled with color selections and spacing. We are on week 21 and I have learned a lot! I like to think that I am getting better as I go...and since I only have to please me, I have! Here are a few of my favorite squares. I did find some time to have guests for dinner. 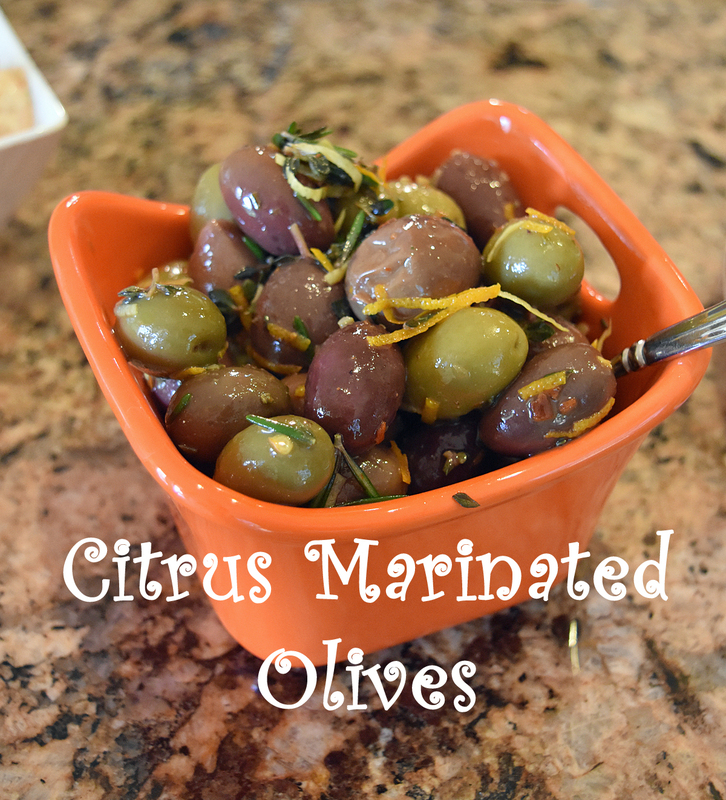 These delicious Citrus and Herb Marinated Olives helped to start the evening. The olives are marinated in a combination of citrus and herbs. They are really habit forming. Stir together all of the ingredients in a small bowl. Allow the olives to sit at room temperature for at least an hour before serving. 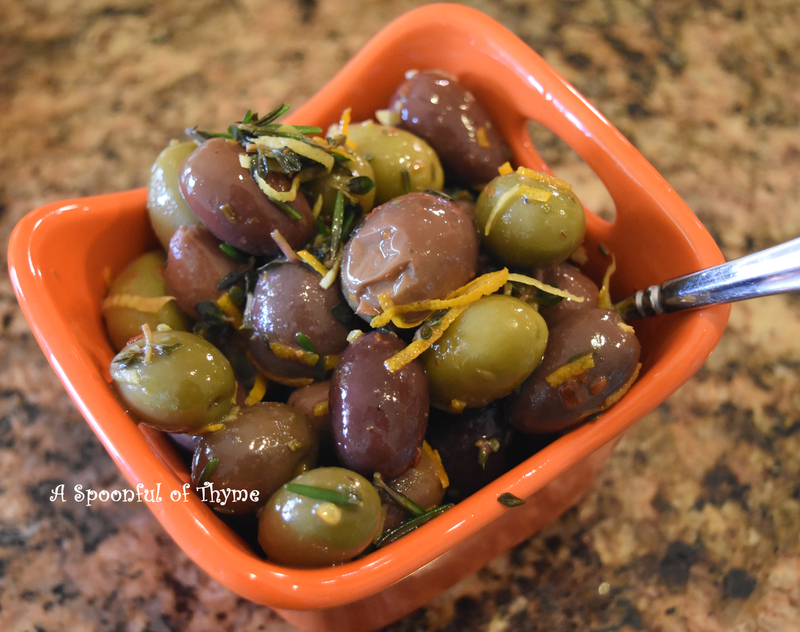 Place the olives in a serving dish and enjoy! I am sharing at Full Plate Thursday hosted by Miz Helen's Country Cottage. I love it when a plan comes together! It makes me smile. It makes me happy. That is how I felt when I was putting together the menu for our gourmet group and Heather Schmitt-Gonzalez at All Roads Lead to the Kitchen selected root vegetables as the theme for this month's Saturday Soup Swappers. I was doing a happy dance as everything just came together...and there was a table of food critics to sample the dish! This soup was so smooth and had a lovely flavor. 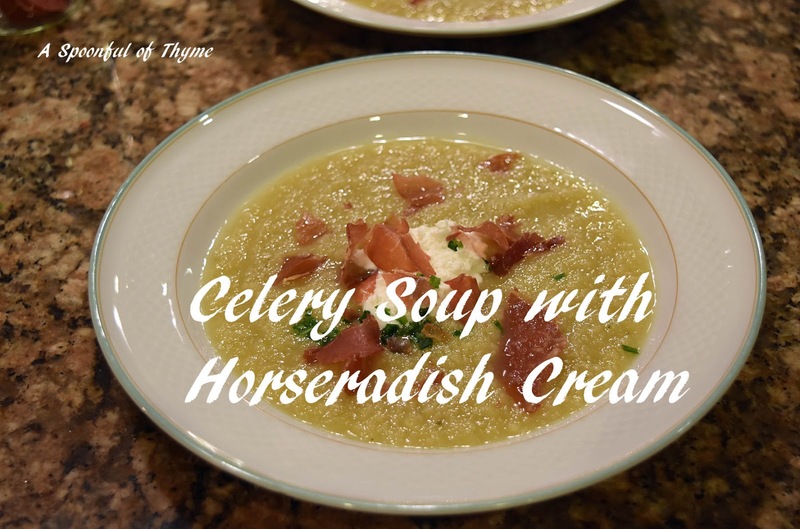 The horseradish cream and ham chips gave it an extra flavor boost. I loved the little bit of heat from the cream and the crunch from the chips. The word around the table was delicious! Prepare the ham chips. Preheat the oven: 350° F. Line a baking sheet with parchment paper. Lay the slices of prosciutto on the paper, evenly spaced. Bake for 5 minutes. Turn the slices midway through. Watch the ham carefully as the thickness determines how quickly they crisp up. When they feel dry and firm, remove from the oven and let them cool until crisp. Store the chips in an airtight container until ready to use. Prepare the soup. Slice the leeks into 1/4-inch slices, white and light green parts, only. Melt the butter in a large Dutch oven over medium heat. Add the sliced leeks and cook for 10 minutes until the leeks are completely soft. Add salt midway through cooking. As the leeks are cooking, peel the celery root. To peel the celery root, cut off the top and bottom ends of the root and set it on a cutting board, flat side down. Cut away the coarse skin, slicking it with a curved motion to match the curvature of the root. Conserve as much flesh as possible. Slice the root into 3/4-inch thick slices. Cut the slices into cubes. Add the cubes to the pot along with the water, bay leaf, and thyme. Bring to a boil. Decrease the heat so that the mixture is at a simmer. Cover with the lid askew. Cook the mixture for 30 to 40 minutes until the celery root is tender. Pierce some cubes to check for tenderness. Remove the bay leaf and the thyme. Let the soup cool to tepid. Add the white pepper. Blend the soup until completely smooth. A hand blender or processor may also be used. 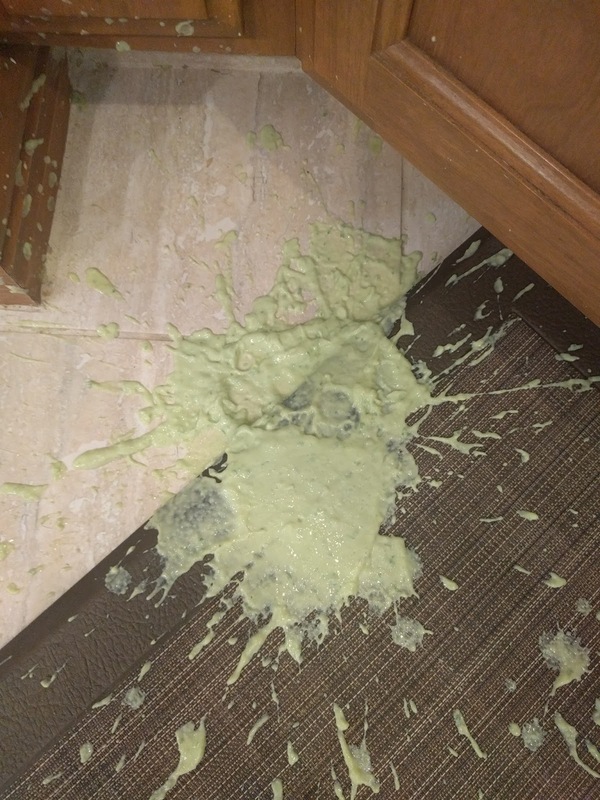 If using a blender and the soup is still warm, only fill the container halfway. At this point the soup may be stored covered, in the refrigerator for up to 4 days. To serve the soup, reheat and ladle into serving bowls. Add a generous dollop of horseradish cream and then crumble the ham chips over the top. Sprinkle chives over the top and serve. This plan was perfect! 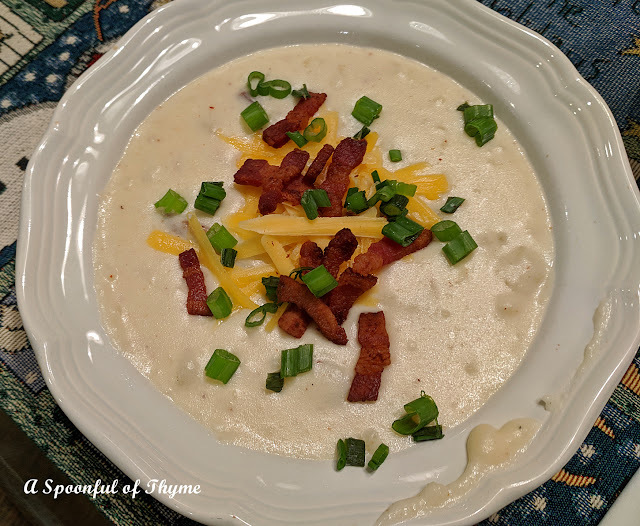 I thought the soup was amazing and since the most time intensive part is peeling the celery root and even that didn't take too long, I would make this bowl of deliciousness again! Somebody at church made the most tasty cheese and jalapeño biscuits. I wanted to sit down and eat the entire plate of them. They were cheesy but not too much and they had a bit of a bite but not so much that it puckered my lips. Sadly, I couldn't eat all that were on the platter but I sure wanted to do it. That is what sent me on a quest to find a recipe for a cheesy jalapeño muffin! It sounded like a good idea, right? Since I was taking them to a friend's I had wanted them be a little more impressive! As it goes, her son snatched up a couple as he was going out the door. The next day he sent a picture of the breakfast casserole he had made using the muffins. Now that, sounded really good! Melt 2 Tablespoons butter in a skillet over medium heat. Add the corn kernels and the jalapeño and cook for 2-3 minutes. Season with salt and pepper. Set aside. Place 4 Tablespoons of butter in a glass bowl. Melt the butter in the microwave, about 30-45 seconds. Watch it closely. In a medium bowl, mix together the flour, cornmeal, baking powder, baking soda and 1 teaspoon kosher salt. Beat in the eggs and buttermilk to make a thick batter. 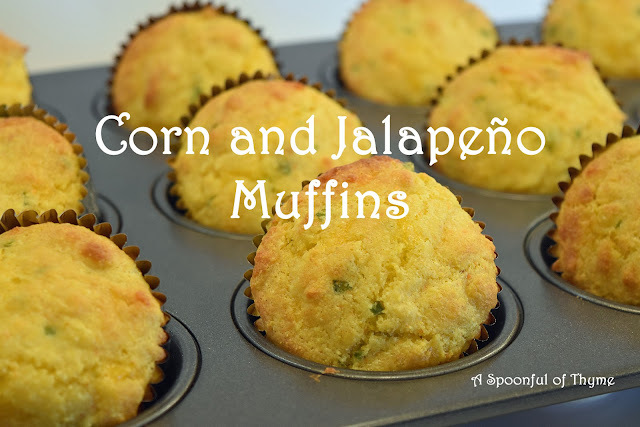 Fold in the corn kernels, the jalapeño and melted butter. Stir in the shredded cheese. For mini muffins, place about 1 1/2 Tablespoons batter in each section. Bake about 10 minutes, until golden. Check for doneness using a toothpick. they sure didn't last long! I was really excited about the recipe that I found for this month's Improv Cooking Challenge. The theme was potatoes and chives and it was March! What could be more perfect? I think it was the recipe that I was going to make....it didn't happen. Things started out smoothly but quickly changed when my mom came down with a bit of pneumonia. That meant long days at the doctor, the lab, the radiologist and the pharmacy...repeated each week for three weeks. I am happy to say that the CAT scan on Friday was clear. That said. I haven't gotten groceries not have I cooked much. I did however, have a back-up plan that wasn't really I hadn't thought of as a back-up plan. I just happened to have everything that I needed and was trying to use up some buttermilk. Thus, we have today's post: Buttermilk-Chive Mashed Potatoes. Not the most difficult side dish and rather obvious for the ingredients, but I am so happy that I made them and photographed them for future!! They were wonderful! 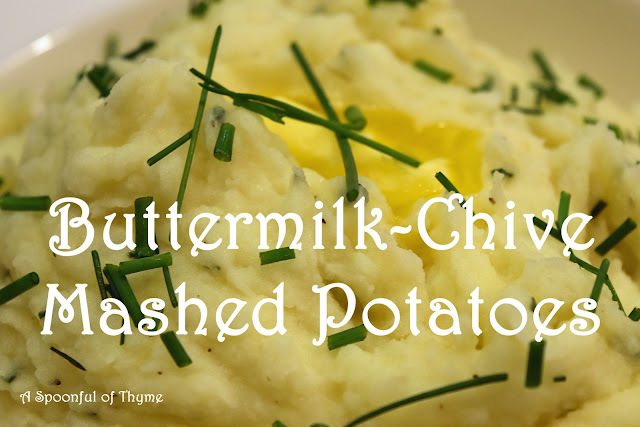 I remember my mom using buttermilk in mashed potatoes on occasion and how good they were. These hit the mark especially with butter melting on them! When I make mashed potatoes, I don't measure. I use liquid sparingly and aim for consistency of the mashed potatoes. We prefer potatoes that are on the thick side. That said, below is the recipe that I used as a guide for ingredients. Cook the potatoes in a large pot of boiling salted water until tender, about 15 minutes. Drain. Return the potatoes to the pot. Mash over low heat until they are almost smooth or to your desired consistency. Stir in the butter. Add the buttermilk and half and half in parts mixing after each part. Stop when they are at your desired consistency. Mix in the thyme and chives. Season with Kosher salt and freshly ground pepper, to taste. 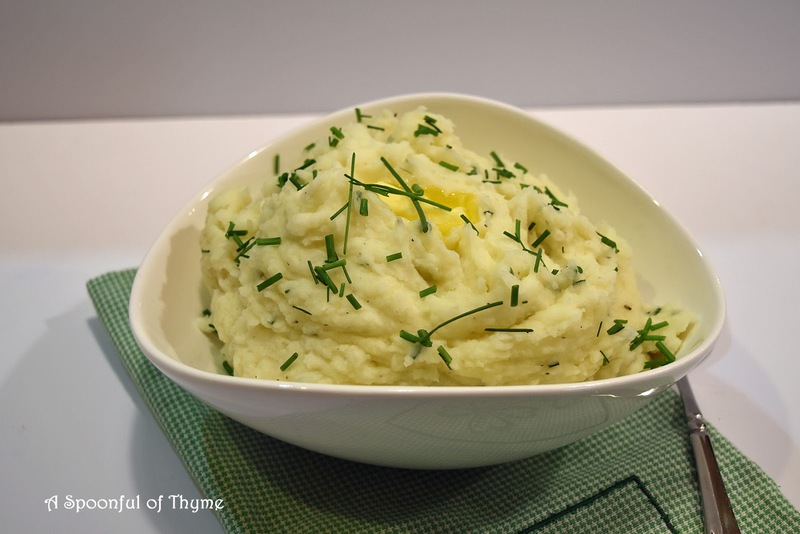 Note: Everybody has a preference when it comes to the consistency of their mashed potatoes. I did not use all of the liquid in the recipe. I added it in parts until I was happy with the consistency. 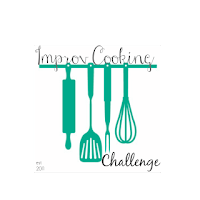 The Improv Cooking Challenge Facebook Group is a monthly challenge supported by Nicole Little at Cookaholic Wife. 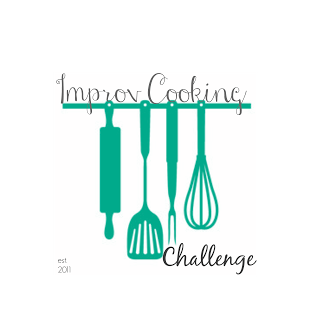 Each month two ingredients are listed and the challenge is to create or find a recipe that you would like to prepare and share. Everything you need to know can be found on Nicole's blog. Join us! I love March. I love the wind, the rain, the warm sunshine, the wildflowers, it stays daylight longer and there is a hint that spring is around the corner. In March my cooking changes. I don't prepare as much comfort food. Our comfort comes from the warm sunshine and being able to use the barbecue more frequently. In March I spend time perusing Irish cookbooks. My daughter surprised me with my first Irish cookbook, The Irish Spirit by Margaret Johnson. In that particular book, the recipes were inspired by the drinks of Ireland. This led me to The Irish Pub Cookbook featuring recipes from various pubs in Ireland. 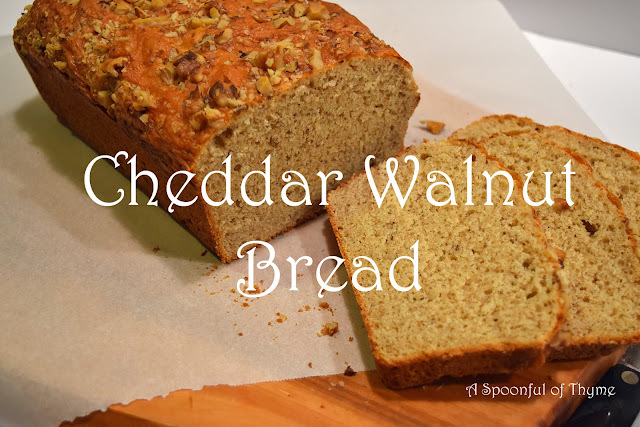 And, that is how I came across this delicious Cheddar Walnut Bread! One can only make so many loaves of soda bread trying to find the "right" recipe before deciding to try something else! Preheat the oven to 375° F. Prepare a 9 X 5 X 3 inch loaf pan by lightly buttering. 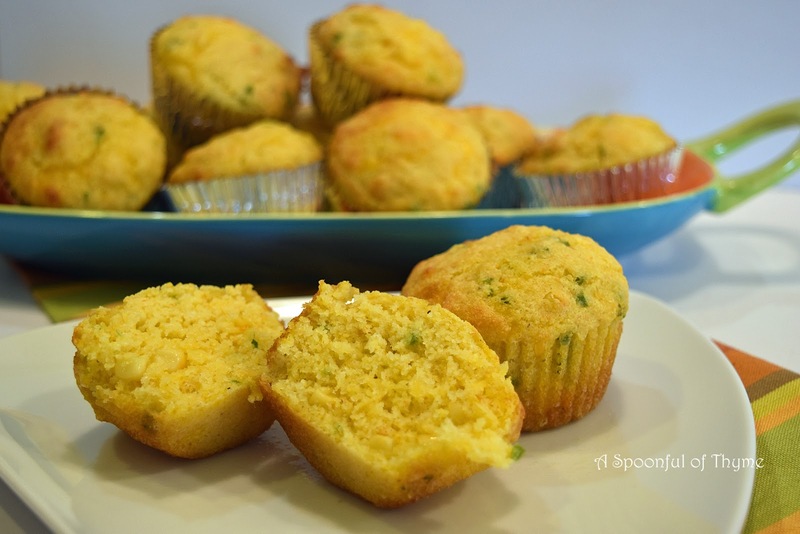 In a food processor combine the flours, dry mustard, salt, baking powder, baking soda, and sugar. Pulse to blend. Add the butter pieces and process for 10-15 seconds, or until the mixture resembles coarse crumbs. Set aside 1 Tablespoon cheese and 1 Tablespoon chopped walnuts for the topping. Add the remaining to the processor. Pulse 8 to 10 times to blend. Add the eggs and buttermilk to the mixture and process 10-20 seconds, or until a soft dough forms. Spoon the dough into the prepared loaf pan. Smooth the top with a rubber spatula that has bee dipped in buttermilk. Sprinkle the remaining cheese and walnuts over the top. Bake 35-40 minutes or until a tester inserted into the center of the bread comes out clean. Remove from the oven and allow to cool on a wire rack before slicing. Should you be searching for a great soda bread recipe, you might be interested in this Not Just Any Irish Soda Bread recipe...it is super!! I am participating at Full Plate Thursday hosted by Miz Helen's Country Cottage. We recently decided to take a break from our weekly veggie box subscription. We found that we were getting many things that we just don't eat in volume! For example we received two types of kale, chard, greens, dandelion greens, lettuce, rutabaga, cauliflower, butternut squash, apples, and tangerines. Yes, I know it's winter so naturally we received winter vegetables but that is too much leafy stuff week after week. 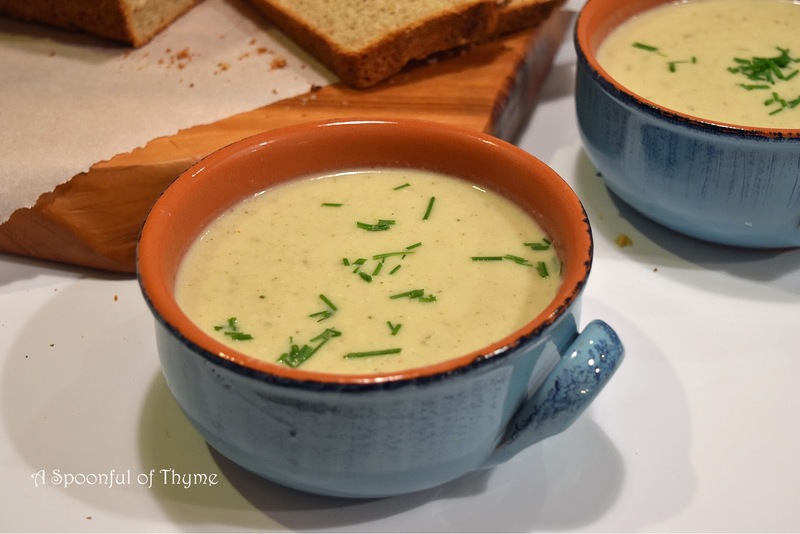 The head of cauliflower we received was beautiful and I just happened to be paging through an Irish cookbook and it just happened to be March....so when I turned the page and saw Cauliflower Soup, well, it just had to be! 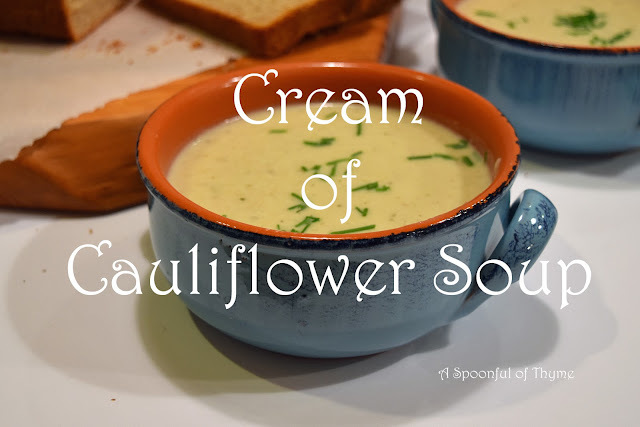 Margaret mentions that you can find some version of Cauliflower Soup in most Irish pubs. It was velvety and had a lovely flavor. I served it with a Cheddar Walnut Bread and the two together were just right! Melt the butter and olive oil in a large Dutch oven over medium heat. Add the leeks, onions, celery, and thyme. Cook until the vegetables are soft but not browned, about 10 minutes. Add the cauliflower and cook until slightly soft, about 10 minutes. Add the stock and bring to a boil. Reduce the heat to low. Simmer, covered, until the cauliflower is tender, about 15 minutes. Remove from the heat. Allow the mixture to cool for about 10 minutes. In batches, transfer the soup to a food processor or blender and puree until smooth. Return the soup to the pot and stir in the half and half. Season with salt, pepper, cayenne, and curry. Simmer the soup until heated. Ladle the soup into bowls and sprinkle with chives. This was an easy soup to prepare and would be a great opener for a dinner. On this night, we were eating light....just soup and delicious Cheddar Walnut Bread. When I first saw it, there was something about this recipe that called my name. I am not certain if it is because I am a lover of carrots or that they were maple-roasted and in a salad. Or maybe it was because, when I was little, my uncle told me if I ate my carrots my eyes would turn blue. I have eaten an awful lot of carrots since then and I am still waiting for the color of my eyes to change... Whatever the attraction, this Maple-Roasted Carrot Salad worked. I served it at a dinner with friends and everybody gave it a thumbs up. I first saw the recipe on the Barefoot Contessa blog. It came from Ina's new cookbook, Cooking for Jeffery: A Barefoot Contessa Cookbook. And yes, I had to add another cookbook to my collection! 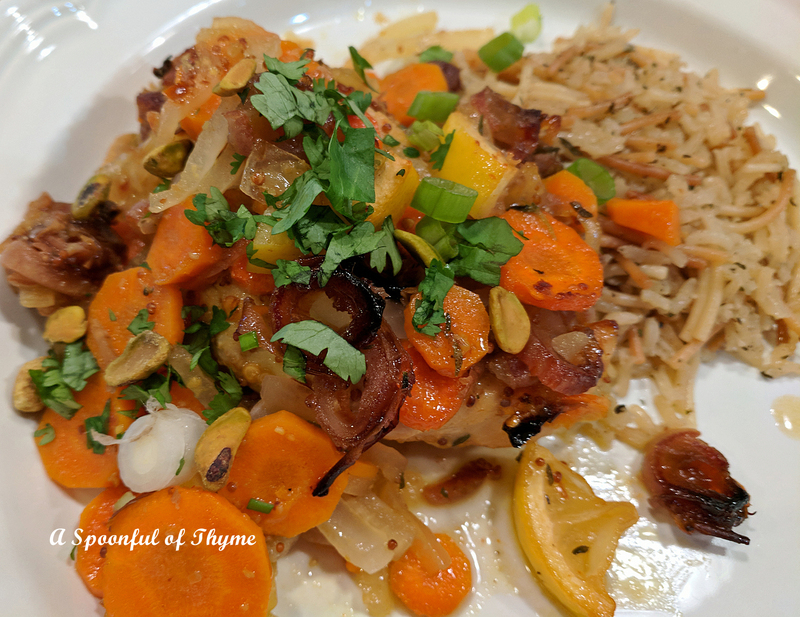 In the last month, I have made three or four of the recipes and found each one to be a keeper. This cookbook would be a super addition to any cookbook library. Prepare the carrots by trimming and scrubbing. Large carrots, those over 1 inch in diameter, should be cut in half lengthwise. On the diagonal, cut carrots into 2-inch chunks. Place the carrots into a large bowl. Toss the carrots to coat with 1/4 cup extra virgin olive oil, 1 teaspoon Kosher salt and 1/2 teaspoon fresh ground pepper. Spread the carrots between two baking sheets (Using two sheets avoids crowding and enables the carrots to roast as opposed to steam.) Roast the carrots for 20 minutes toss/stir the carrots once during the roasting. When the carrots are tender, transfer them all to one baking sheet. Pour the maple syrup over the carrots and toss to coat. Continue roasting until the edges of the carrots caramelize, about another 10 to 15 minutes. Keep an eye on them so they do not burn. Remove from the oven, toss and set the carrots aside. In a small saucepan, combine the cranberries and orange juice. Bring the mixture to a simmer and set aside for 10 minutes. To make the vinaigrette, combine the sherry wine vinegar, garlic and 1/2 teaspoon of Kosher salt. Add 3 Tablespoons of extra virgin olive oil and whisk to mix. 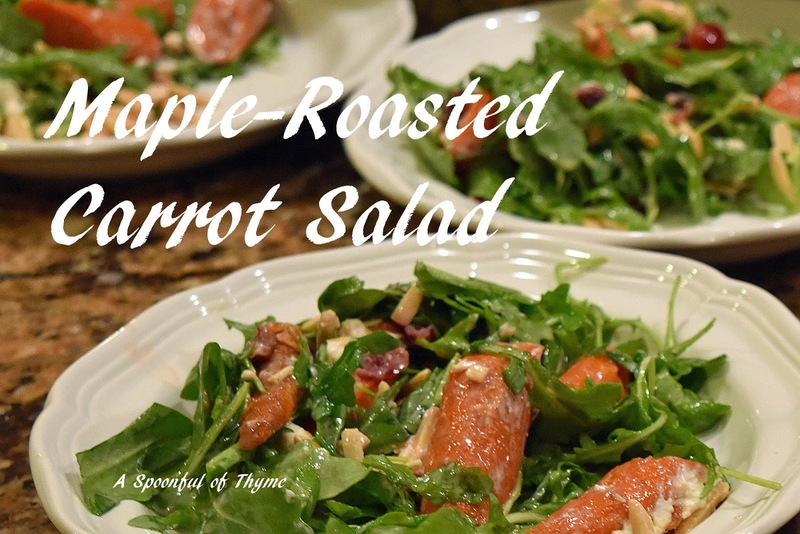 In a large salad bowl, place the arugula, carrots, the cranberries and liquid, goat cheese, almonds, and the vinaigrette. Toss together. Taste and adjust the seasoning as needed. Everything about this salad works!